This is a stand mounted 55 inch “Kiosk” setup. 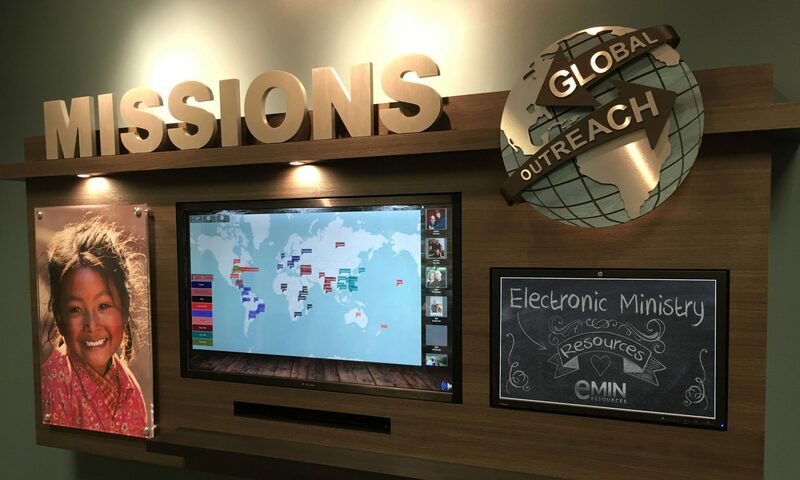 This setup is great for enhancing an existing Missionary Display area. The system is commercial kiosk and stand. We have featured this build in on several of our marketing materials. This was a new build in using a local contractor to perform the installation and setup. Here is another “Kiosk” setup. The stand and the 42 inch all in one computer were provided by a commercial kiosk member. This system was provided by another commercial kiosk vendor. This system was installed by one of our contractors. Paul provides onsite installation along with system training and other services. This link will take you to the installation page for his services.